Standing near the corners of three counties in the Trigonia community of southwestern Blount County, the massive American elm shaded almost a half-acre of land. It was over 160 feet tall, had a crown spread of 147 feet, and was a impressive 24 feet, 7 inches in circumference. 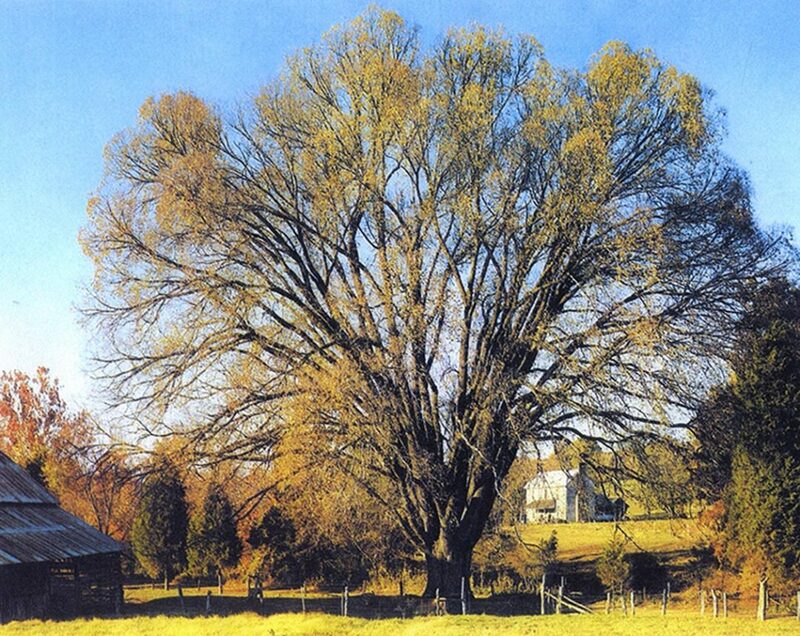 Estimated to be over three hundred years old, the elm was the largest known tree in East Tennessee for many years and was listed as the national champion American elm for more than fifteen years, starting in 1951, and reigned as the Tennessee state champion for twenty-five years. The tree was once nominated as a national historic monument to the National Park Service, but failed in that attempt. It was then nominated to the National Register of Historic Places and again was rejected because the Register does not include trees. The Tennessee Historical Commission was contacted for designation of the tree as a state landmark, and that too failed. That did not prevent the tree from being the subject of numerous newspaper and magazine articles, including a 1974 Southern Living magazine story. In fact, few trees have ever had as much public notoriety as this elm. It was growing on the 288 acres of land that Governor (later President) Andrew Johnson gave to John Montgomery in 1855 as one of the original land grants in the Trigonia community. In later years John’s son, Squire Jim Montgomery, married so many people under the branches of the large tree that he soon became known as the “marrying squire.” In modern times it stood on the property of Willis and Ruth Moore. The tree became controversial in 1971 when the Tennessee Valley Authority purchased the land surrounding it for the Tellico Dam project. Local support rallied to save the massive tree, although the impoundment of the lake did not flood any of the adjacent land. TVA was sympathetic to the cause and had the tree treated by foresters to help preserve its declining health. The old tree was struck by lightning in 1978, reportedly several times, and it finally succumbed the next year. The tree was cut down by TVA in June 1980, and sections were distributed across the region. Each one-foot section of the trunk reportedly weighed from five thousand to six thousand pounds. 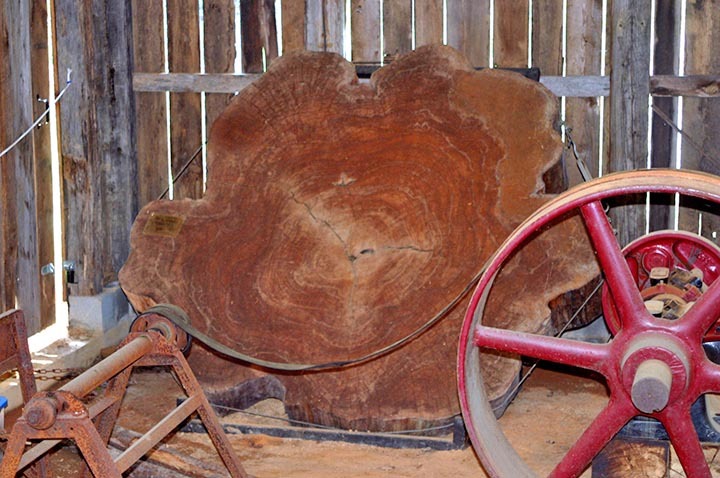 One section of the huge trunk can be viewed in the city park next to the Blount County Courthouse in Maryville and another in the Smoky Mountain Heritage Museum in Townsend.